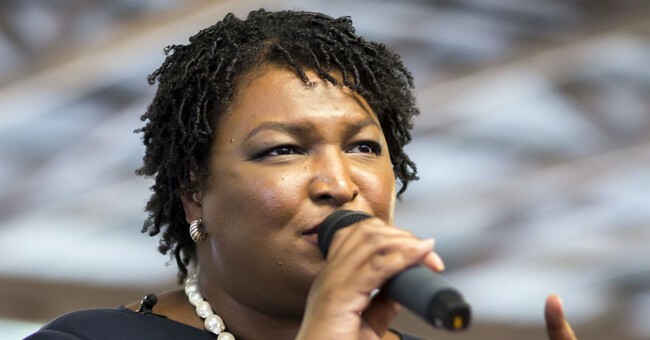 Despite the number of Hollywood celebrities who campaigned on her behalf, Georgia Democratic gubernatorial candidate Stacey Abrams still lost to Republican Brian Kemp. Abrams was reluctant to concede but she eventually did so. Now, those same Hollywood celebrities who stumped on her behalf are going to do everything in their power to make sure movies, TV shows and everything in between are not filmed in the Peach State. Frank Rich, executive producer of HBO’s “Veep,” also followed Milano's logic. And Ron Perlman, known for his roll in "Sons of Anarchy," told his colleagues not to call him and ask him to be a part of anything that's filmed in Georgia. "West Wing" actor Bradley Whitford shared the same sentiments. "Six Feet Under" actor agreed with Whitford. Despite all Hollywood has done for Abrams, she has insisted that the entertainment industry should not boycott Georgia. I don't agree with Abrams on much but I definitely agree with her this time around. Hollywood stumped for her in Georgia. Kemp came out on top. What does that mean? It means Georgians, over all, disagreed with her progressive platform. It means they didn't like her policy stances and decisions. But Georgians should be punished because they don't want to live under the leadership that Hollywood thinks is best for them? It's typical for Hollywood celebrities who have absolutely zero connection to the average American to come in and say, "Here's what's best for you. Here's what you and your family need" yet they have no idea what life is like in the South. And they say conservatives are just wealthy people trying to tell other people how to live their lives. They should probably take a deeper look in the mirror.